A School Committee member from Ward 2 since 2014, I’m running for re- election. I’ve lived in Newton for 26 years, served on school councils at Horace Mann, Day and North and our son is a 2016 graduate of North. I am the daughter and sister of teachers. I believe that the education of our children is the most important thing we do in local government. Over the past four years the school committee has tackled important work — new programs to address the achievement gap, social and emotional learning initiatives that benefit student health and well-being, a complete revision of school committee policies to ensure consistency and fairness and the replacement of the Angier and Zervas schools, improving learning space and addressing overcrowding. With term limits and school committee turnover this year I believe that my experience and knowledge are key to making progress in three vital areas. The first area is excellence and equity. We must ensure that all our students have the opportunity to reach their full potential. One of the most important steps toward narrowing achievement gaps is the planning underway for full day kindergarten — a signature issue for me and one that I will ensure stays on track. Excellence and equity also means that we address the opportunity gap. This includes mitigating the barrier of fees for families and tackling capacity and access issues in our after school programs by partnering with community organizations and after school providers to build a better school day for all. The second priority is student health and well-being. Newton has been fortunate to have a federal grant to develop and launch programs for social and emotional learning. As this grant sunsets in 2018, the challenge is to continue to support this work. We also must address the important goal of high school start time. I’m confident that work on revising the daily schedule will enable a change in start time with the added benefit of aligning both high school schedules to facilitate cross-registration in career and technical ed, AP and advanced courses. Finally, we must continue to address our school facility needs while maintaining sustainable levels of spending. Two new schools have opened and a third, Cabot, is under construction. However, too many schools remain overcrowded, in poor condition, or both. Together with the city council and the mayor we need to find the path forward for the next set of schools in the plan. We must also tackle ancillary problems like school drop off traffic encouraging students to walk, bike or take the yellow bus. There are challenges ahead with decreasing state and federal aid and increasing student population. We need to face these challenges with reasonable plans and sustainable spending. I pledge to continue to work hard maintaining and improving educational excellence, while actively listening to the concerns of all of Newton’s citizens. I ask for your vote on Nov. 7. I’m on the ballot. Thank you! Thanks to everyone who signed my nomination papers. I officially submitted over 150 signatures well ahead of the July deadline. I’m looking forward to talking with voters throughout the summer. Last week a “health holiday” was announced that eases the school district budget for FY 18. A lot of people were confused about what a health holiday actually is. Here’s my brief explanation. The City of Newton is self-insured. The premiums that employees pay as well as the employer contribution toward health are held in a reserve fund to pay claims. When that reserve fund reaches a certain level the city takes a break from paying into the fund and a “health holiday” occurs. So this isn’t new money or found money. The funds in question are money that the school department has earmarked for paying their contribution to employee health care and for NPS that’s $600,000+ per week. A two week health holiday means that $1.2 million that was set aside for health insurance premiums can now be spent on something else. The House budget was released yesterday by the Mass Legislature. There is more funding for education but the push is now on to revise the Chapter 70 formula that has been used for the last 23 years to calculate each school districts’ state aid. Want to know what’s happening with high school start time? 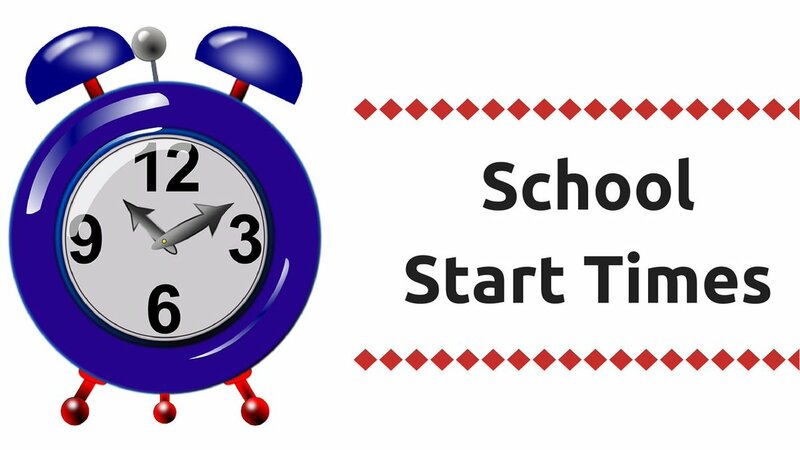 The work begins this summer with both high school principals and high school faculty to revise the current schedule to provide a later start and still end by 3:00 PM. For more details visit the start time page. Authorized by the Committee to Elect Margaret Albright, Lucia Dolan Treasurer.